When Shopee began designing its new 3,500 sqm office at the Ascent building at 2 Science Park Drive, it took three concepts to heart: Connectivity, collaboration and community. These ideas resonated not only with the Singapore-based online marketplace’s business mission, but also its more than 200, predominantly millennial, staff. In August, the expansive new office finally opened its doors and Shopee employees were thrilled. 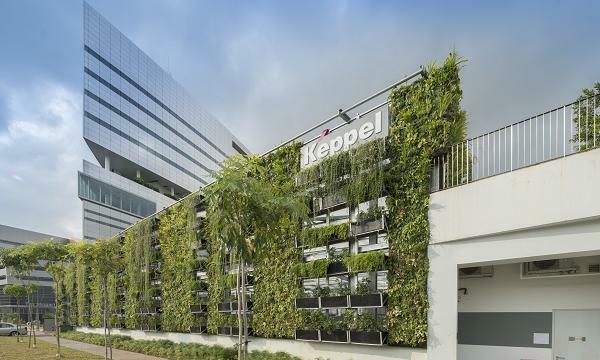 The new corporate home featured spacious meeting rooms, cozy sleeping pods with luxe pillows and air purifiers, an entertainment corner where foosball matches would soon be a break time staple, a cafe with a pool table, and even an in-house masseuse area for twice-a-month massages. Shopee’s workspace dreamland clearly oozes fun but there was tough work behind the scenes, especially in curating the office features that would make the final cut amidst the diverse preferences amongst staff ranks. “One of our biggest obstacles would be the race against the clock to find the perfect office space that can accommodate Shopee’s rapid growth and also accurately reflects our values and personality,” says Zhou Junjie, chief commercial officer at Shopee. In just two years since its establishment in 2015, Shopee has become one of the fastest growing eCommerce marketplaces in Southeast Asia, with over US$3b of annualised gross merchandise value. It now has more than 200 employees in Singapore, up from the initial 10, and over 2,000 across all offices in Southeast Asia. This breakneck expansion pace led the team to design around the idea of connectivity, which is at the core of Shopee’s success and value to customers. 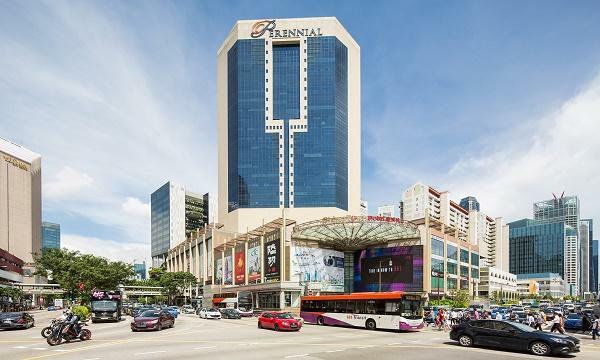 “The connectivity aspect is reflected in our interrelated design elements, which are representative of Sea’s motto, ‘Connecting the Dots’ – this reflects Shopee’s mission to connect our buyers and sellers across our platform,” says Zhou, referring to Sea, the Singapore-based online retail and gaming company that operates Shopee. Collaboration was also chosen as a design pillar for the new office. Teams at Shopee might have different preferences and viewpoints, but features in the new office such as the design of workstations, will facilitate dialogue and interaction. “All employees, regardless of department or seniority, work together in a shared open-concept space, which encourages cross-department discussion and collaboration,” says Zhou. “It was not easy trying to cater to everyone’s needs, but I’m glad we managed to come up with a design that allows everyone to work comfortably and effectively,” he adds. 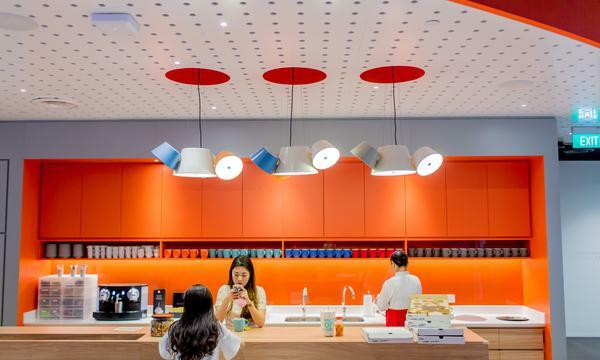 Zhou reckons that by forming a team that comprises a diverse group of people, including members of the top management like Chris Feng, Shopee’s CEO, the new office design arrived at a “solid middle ground” that could boost productivity, efficiency and comfort. Finally, the new Shopee office sought to create a sense of community amongst employees through unique features such as an entertainment corner where they can bond over fun and games. A large space has also been allotted for monthly internal welfare and teambuilding activities. “Our highly functional multi-purpose Café also allows for a wide array of events such as training and co-curricular get-togethers,” says Zhou.